pennine: Words seem weak at times like this.But appreciated & what is comforting are the messages of empathy and support from world leaders & the actions of people around the venue in Manchester i’m currently listening to, taxi drivers from Liverpool (Merseyside) turning up to help get people safely home, people opening up their homes & hotels &businesses, a Rabbi has been speaking on radio how he went providing warm drinks & of course the bravery & hard work of the rescuers, police,fire service,ambulances & hospitals. Manchester, a Pennine town (on the other side of the hills to where i live)is dear to my own heart & to my family, i was converted into following Manchester United (to get some peace from family) so i now follow one of the greatest football teams in the land as well as Sunderland, but i don’t mind as many good folk are Manchurians.My heart just goes out to the people, the town & to the families/friends of the victims,may they be given strength and hopes for healing for the injured. Muslim people have been calling in the radio station expressing sadness & condolences, my heart goes out to them too. 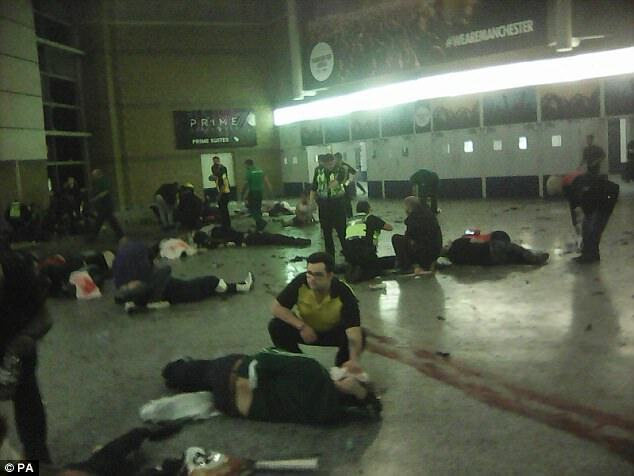 One thing we must not do in times like these,when these horrific rotten things are done, is to blame the innocent. 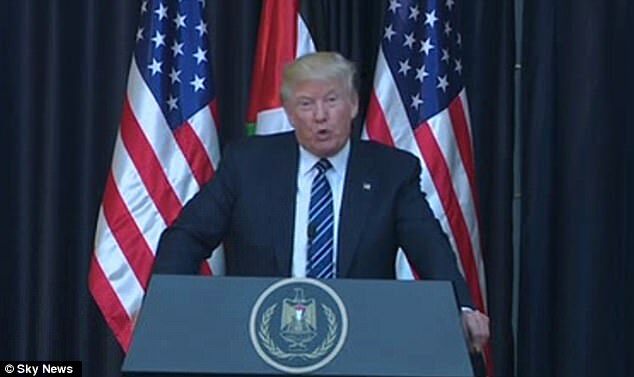 President Donald Trump has branded the terrorist who attacked Manchester Arena ‘an evil loser’ as he led world leaders in condemning the atrocity. Mr Trump said the US stands in solidarity with Britain following the attack which killed at least 22 and injured 59 on Monday night. 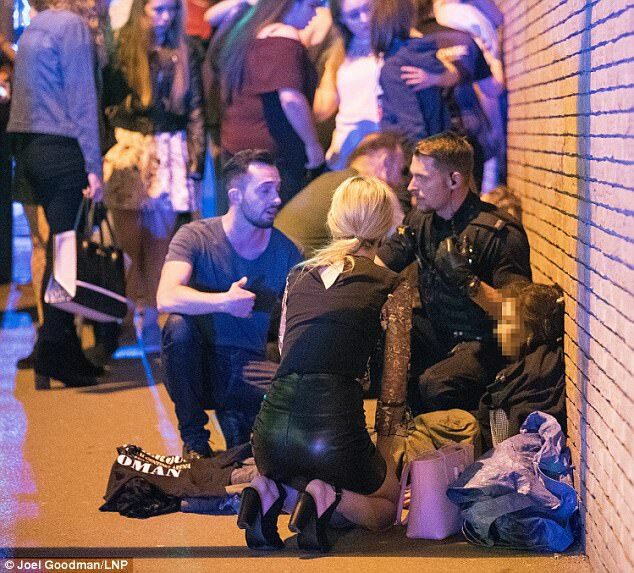 Vladimir Putin also offered to boost anti-terror cooperation with the UK after the ‘inhuman’ attack on an Ariana Grande concert. 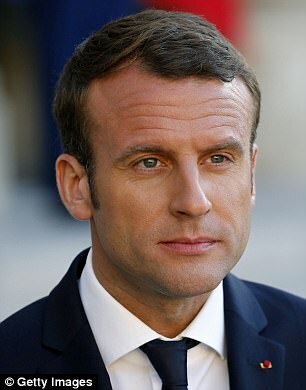 Newly elected French President Emmanuel Macron expressed his ‘horror and shock’ at the attack as German Chancellor Angela Merkel assured Britain that ‘Germany stands at your side’. Police said on Tuesday morning that 22 people, including children, had been killed in the attack on Manchester Arena which also wounded 59. The bomber, who has not yet been identified, is also among the dead. Speaking from Bethlehem, where he is taking part in his first foreign trip since becoming President, Mr Trump said: ‘We stand in absolute solidarity with the people of the UK. ‘So many young beautiful innocent people, they were murdered by evil losers. ‘I won’t call them monsters because they would like that term. They would think that’s a great name. 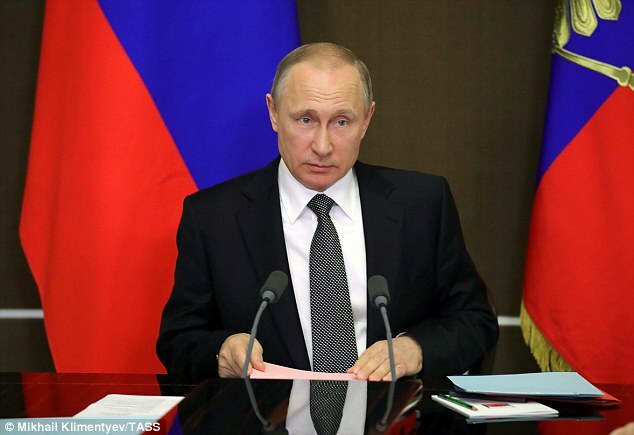 In a statement issued through a state-backed news agency, Putin said: ‘We strongly condemn this cynical, inhumane crime. Russia was the site of a recent suicide bombing after Akbarzhon Jalilov blew himself up on the St Petersburg subway, killing 15 and wounding more than 60. Macron voiced his ‘horror’ at the attack and said he plans to speak to British Prime Minister Theresa May. Macron ‘learnt with horror and shock about the attack that occurred yesterday evening,’ his office said in a statement. French Prime Minister Edouard Philippe condemned the attack as ‘the most cowardly terrorism’ that was aimed ‘specifically and knowingly’ at young people. France has been the victim of a string of terror attacks, the most recent of which saw a policeman gunned down by an ISIS militant in Paris. 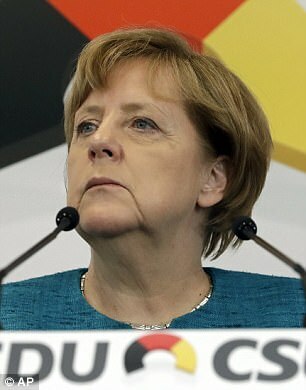 German Chancellor Angela Merkel also expressed shock and sorrow, promising to fight people who commit such inconceivable deeds. ‘This suspected terrorist attack will only strengthen our resolve to continue to work together with our British friends against those who plan and carry out such inhumane deeds,’ she said. In 2016, 11 civilians were killed in Berlin after a man pledging allegiance to ISIS drove a truck into a Christmas market in the city centre.